Anyone notice any new Beeps or other oddities? I haven't seen anything concrete, and the things I've noticed are probably just pareidolia winning the day. - On the 2.18 Update News Page right above the article is an empty black box, similar to a vertical version of the Beep on the landing page, but does not have content in it (yet), l-single-news__image-effect --right::before, right now it has an empty string added via css, but maybe something will pop up when the next update succeeds? EDIT: from what screen grabs I have been able to get I'm mostly certain this point is nothing, it looks like I'm just seeing things that don't exist in the distortion. I doubt there will be public gameplay, from the available information. But a new trailer/teaser/screenshots could possibly be released. Also, there is an Nvidia event today where maybe some upcoming games that use their ray-tracing technology would be demonstrated, but the CDPR tweet is about an update tomorrow, so it looks like there will be no CP2077 demo shown by Nvidia either. We're finally going to have more news about Cyberpunk 2077, excited for what they're going to tell us. I'm really hoping for some high-level details (I don't need specifics as I fully understand many will still be in development) concerning character development and actual gameplay. It's nice that it looks pretty, doesn't have loading screens, and is an "RPG First", but I want some meat and potatoes not just appetizers. I'll be beyond happy if all that is shown in another rendition of the E3 trailer, or even the original trailer for that matter. I am just excited there will be concrete information provided from CDPR instead of random YouTube channels speculating. I believe they have already stated in an interview or something of the sort, that there will be no supporting TPP gameplay. They have confirmed there will be moments during the game where you will be able to see yourself in 3 person (Inventory and potentially cut-scenes) but it will not be incorporated into gameplay. Oh yeah driving! I am pretty positive I recalled them once saying driving will be TPP or FPP, but I'm not 100% certain. But even though people were really hoping for TPP like Witcher, I feel there reasoning for this will be because of what type of world it is. As in, the world they are building, they said is very vertical, which I assume will incorporate a lot of indoor activities opposed to purely outside like what we're used to with TW3. I think everyone just needs to have faith in their decisions and wait for the final product. This is not the thread for TPP/FPP. Where do I watch coverage tho? or will it all be through social media and the cyberpunk website? 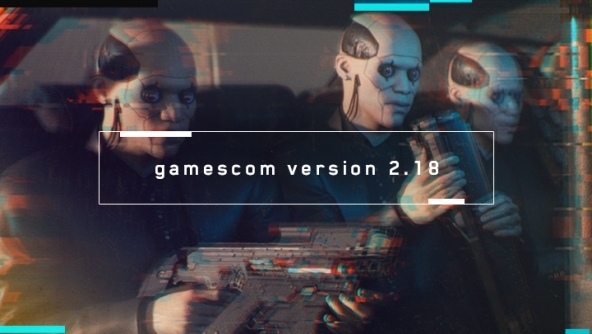 Maybe it will be all over the place - Maybe a live stream from Gamescon 2018 on youtube?